You are here: Home / Beauty / Marc Jacobs Highliner Gel Eye Crayon – Brown(Out) | Review. Marc Jacobs Highliner Gel Eye Crayon – Brown(Out) | Review. 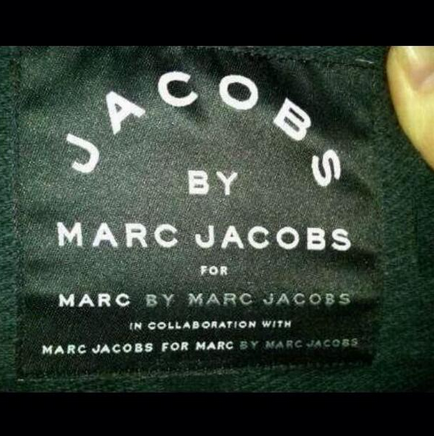 The whole Marc Jacobs thing (bags, watches, phone cases) are over-rated I think. The whole branding thing (if you haven’t see the picture of why Marc Jacobs needs to calm down) with the logo plastered all over everything, never appealed to me. But I digress, and I do have tons of friends who are adore his line to bits. Bottom Line [4/5]: Creamy, smooth, and highly pigmented. Gel formula is superior than some I’ve encountered in the market. Price makes it an investment purchase. When the Marc Jacobs beauty products debuted at Sephora, I was skeptical; I ventured trying out the Gel Foundation and hadn’t been very impressed. Fast forward a couple of months later, the availability of the Marc Jacobs Highliner Gel Eye Crayon ($30, available here) as a Sephora perk made gave me the perfect opportunity to test the product without committing the $30 that it costs. Encased in a thin, silver pencil bullet, this eyeliner is so chic and luxe. The colour I have, Brown(Out) is a bronze/medium brown shade with very fine gold flecks. Despite the gold shimmer/flecks, this shade looks very natural and appropriate for everyday wear to the office. From afar, and even close-up, the liner just looks like a brown eyeliner. The pencil is soft, so be careful not to twist too much otherwise you’ll end up with $10 worth of the product in the garbage. The formula itself was like icing on the cake – it is so smooth, creamy and pigmented. It glides on the eyelids with minimal effort, and the colour is as vibrant as it is in the bullet. The gel liner doesn’t dry too quickly, so you do have time to fix it before it sets. Tears, sweat, and rain won’t budge this off your face. Despite how well it stays on the eyelid, the product is also easy to remove at the end of the day. I use either the Simple Skincare Cleansing Facial Wipes or the L’Oreal Sublime Micellar Solution on a cotton pad and they both do the job equally well. This is one of those products that when you swatch once, you’ll want to have them all! The variety of colours and excellent quality of the product are sufficient incentive for me to repurchase in the future. There’s no panda eyes at the end of the day. I’ve played around with this as an eyeshadow (using it in the crease) as well and I was equally satisfied with the overall result. The sharpener at the other end of the pencil is a very useful addition since the pencil is thinner than most pencil eyeliners and probably will not fit into the regular sharpener. Now it’s your turn! Have you tried the Marc Jacobs Highliner Gel Eye Crayon? As always, I’d love to hear your thoughts! Share with me comment section or through Twitter or Instagram!